"Jesus took bread, and blessed, and broke it and gave it to the disciples and said: 'Take, eat; this is my body...'"
At St. Paul Church we observe an "Open Communion." You do not have to be a formal member of our congregation to share in Holy Communion. What is simply asked of all who partake of the bread and cup is that they seek to walk more closely with Jesus Christ as Lord and Savior. As a sacrament, Holy Communion, like Holy Baptism, is a time in which we draw closer to God and gain a special sense of spiritual intimacy with Jesus Christ, remembering how Jesus Christ lived and died for us. As we partake of the communion meal we have a keen sense of being a community gathered in the servant spirit of Jesus Christ. In breaking the bread and in the drinking of the cup we also celebrate the fact that God in his gracious and forgiving love, proclaimed through Jesus Christ, always seeks to spiritually nourish us for the challenges of daily Christian life. How did the sacrament of Holy Communion originate? The origins of Communion can be traced to the life and ministry of Jesus, which included frequent fellowship over a shared meal. On the day before his death, during the celebration of Jewish Passover, Jesus joined with his disciples for a last supper in an upper room in Jerusalem. At that poignant meal, which may have been a Passover Seder, Jesus identified himself with the bread which he broke and with the wine that he poured as he offered each to his disciples. He called upon his disciples to participate in a similar meal as a remembrance of his life and sacrifice when he was no longer among them. After his resurrection, Jesus appeared to his disciples and shared additional meals with them (Luke 24:13-35; John 21: 1-15). These occasions reinforced for the disciples the spiritual power and significance of sharing a meal in Christ's name. In his first letter to the Corinthians (1 Corinthians 11) the Apostle Paul provides the earliest account of Holy Communion as observed within the early Christian church. In some respects it was a potluck affair: church members brought their own dishes to be eaten after the more ritual part of the meal. Responding to meal-time conflicts, however, the Apostle Paul recommended that the practice of celebrating communion in the midst of a regular supper should be discontinued. Paul's advice, which was taken seriously, laid the basis for our present-day observance of the sacrament of communion within a strictly worship setting. I have heard different names used for Holy Communion. Do they all mean the same thing? Yes. Depending upon the particular Christian church, the communion sacrament is called "The Lord's Supper," "Eucharist," or "Holy Communion." Each of these designations has a basis in the New Testament and highlight a particular aspect of the sacrament and its meaning. The term "Lord's Supper," for instance, reminds us that Jesus is the host who invites us to his table. "Eucharist" is the Greek word for "thanksgiving." Churches which use this expression are underscoring that the sacrament is a feast of gratitude and thanksgiving for all that God has done for us. Meanwhile, "Holy Communion" emphasizes our experience of unity with God and our community with others as we share in the sacred meal instituted by Christ. Though the particular terms used for communion may vary, they all name the same thing--a cherished and divinely blessed meal initiated by Jesus Christ to help nourish and sustain us in faith. Some churches have Communion every Sunday, while others do not. Why? The short answer is that different Christian denominations have, for a variety of reasons, both historical and theological, adopted different practices. The longer answer takes us back to the 16th century Protestant Reformation. The Reformers criticized the (Roman Catholic) Church for over-emphasizing the sacraments with all of their mystical overtones and neglecting the preaching of God's word. In subsequent centuries, Protestants emphasized the sermon over sacrament in worship. Consequently, communion was usually only offered on a monthly or periodic basis, making it less likely that worshipers would take the sacrament for granted. At St. Paul United Church, communion has been traditionally celebrated eight times per year on major holy days or occasions such as Advent, Christmas, Lent, Maundy Thursday, Easter, Pentecost, and Worldwide Communion Sunday. But in 2000, the Church Council and congregation also approved the addition of monthly communion services to be celebrated at both Sunday morning worship services. St. Paul Church members may receive communion monthly or more periodically according to the different seasons of the Christian calendar. Is there a particular order of service followed for Holy Communion at St. Paul United Church? Yes. The communion service for our congregation usually begins with a unison prayer of confession in which we seek God's forgiveness for offending against his holy laws and leaving "undone those things which we ought to have done" and doing "those things which we ought not to have done." A proclamation of God's love in Christ and an invitation to the Lord's Supper follow. The presiding pastor then offers a prayer of consecration for the bread and the cup and steps to the altar as the congregation sings a choral refrain, affirming Jesus' sacrifice of his body and the salvation and unity that becomes possible through this sacrifice. Before presenting the bread and the cup to the presiding elders for distribution to the congregation, the pastor recalls how, on the night before he died, Jesus similarly broke bread and shared a cup with his apostles and disciples, calling upon them to continue this custom in remembrance of him until he returns in final power and glory. I have noticed that Holy Communion is served to the congregation in several different ways at St. Paul United Church. Please explain this. Communion is actually celebrated at St. Paul United Church in three different ways with occasional and minor variations. On major holy days and occasions such as Advent, Christmas Eve, Lent, Easter, Pentecost and World-Wide Communion Sunday, communion trays, containing wafers and small cups of non-fermented grape juice, are distributed by ushers at both worship services and shared by the congregation in the pews. This "pew communion" is common among Protestant Reformed congregations. At a symbolic level, it reminds us that God takes the initiative to reach out to us with his grace and love. Somewhat differently, during early morning worship on the first Sunday of each month, those present are invited by the ushers to come to the front of the sanctuary-just below the chancel steps to receive "altar communion" from the pastor and pressing elders. Those partaking in altar communion dip or "tincture" their wafer in grape juice from a common cup. The dipped or tinctured wafer is then immediately eaten before we return to our pew. Those sitting in the pews during communion are encouraged to maintain silence and to pray. Of course, whenever we come forward to receive altar communion, we are symbolically giving ourselves to God. Why does the St. Paul congregation use unfermented grape juice rather than wine in celebrating communion? Our congregation has used grape juice rather than wine for communion since the late 1940's. The change from wine to grape juice was prompted by concern for those church members, who because of health or other reasons, could not consume any fermented beverages. Our continued use of grape juice at communion time enables us to be more inclusive of all Christians, regardless of their personal life circumstances. Who can take part in Communion at St. Paul United Church? Because we regard communion as the "Lord's Supper" and believe that the communion table belongs to Jesus Christ, not to us, our congregation practices an "open communion." Any adult, baptized Christian who seeks to walk more closely with Jesus Christ as Lord and Savior is invited to share in the communion meal, regardless of their own denominational family or their particular understanding of the communion sacrament. 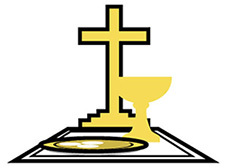 Although young people of our own congregation do not receive their "first communion" until they have been confirmed in faith, usually at the age of fourteen, we do allow children who are attending our worship service as guests to partake of communion with us if they are already permitted to do so in their home church. All Christians joining in the sacrament of communion should remember our responsibility to make peace and seek reconciliation with our brothers and sisters in faith beforehand (Matthew 5:23-24). At the same time, communion has traditionally been understood as an occasion when God not only forgives us our sin but also empowers us to look at our lives in a fresh way and to live more lovingly and faithfully in community with him and with our fellow men and women. Accordingly, God does not require or expect us to be morally perfect before we share in communion. Further questions about the sacrament of Holy Communion and it's practice at St. Paul United Church of Christ are always welcomed. Please take the opportunity to speak with the pastor about your questions or concerns.